Sally has been teaching yoga and facilitating other forms of conscious movement along with meditation and visualization for over fifteen years. She came naturally to yoga by way of dance in the 1990s, and has often blended the two together. She creates a welcoming and compassionate yoga experience with a non-judgmental, inclusive, and safe yoga classroom environment that welcomes all sizes, ages, ethnicities, and gender identities. For Sally, movement is about getting in touch with your body and learning to love it unconditionally, and coming into a state of profound gratitude for where we are now. We begin at today, stay in the present moment, and nurture our bodies with breathwork and movement. 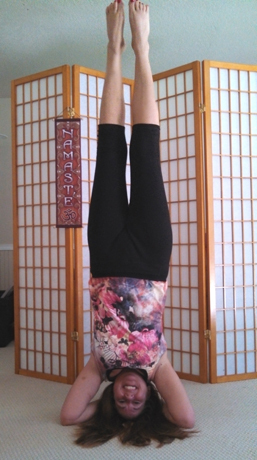 Sally's focus at Cascadia House will be various forms of Yoga in a small group setting. Sally has instructed Sivananda Yoga, Gentle Yoga, Hatha Yoga, Seated Silver Yoga, Active Silver Yoga. She has studied Kundalini, Bikram, Iyengar, Vinyasa (Flow), and Power Yoga forms, and each of these styles contribute to her personal approach to teaching. For Sally, teaching yoga is an honor and it is important to her that students work within their abilities, and that they feel safe, welcomed, and leave feeling great. Certified by the American Council on Exercise as GFI (Group Fitness Instructor); NCCA recognized.